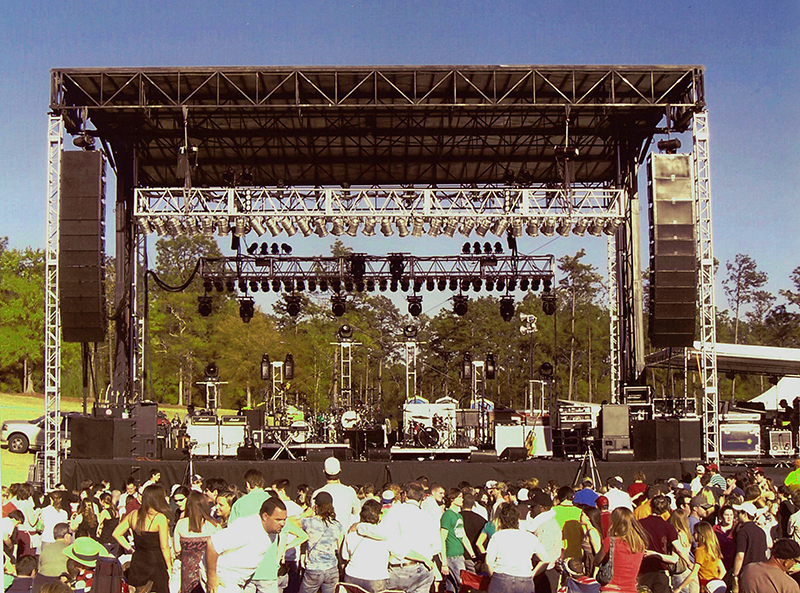 Atlanta Sound & Lighting (ASL) has been providing solutions for events since 1977. 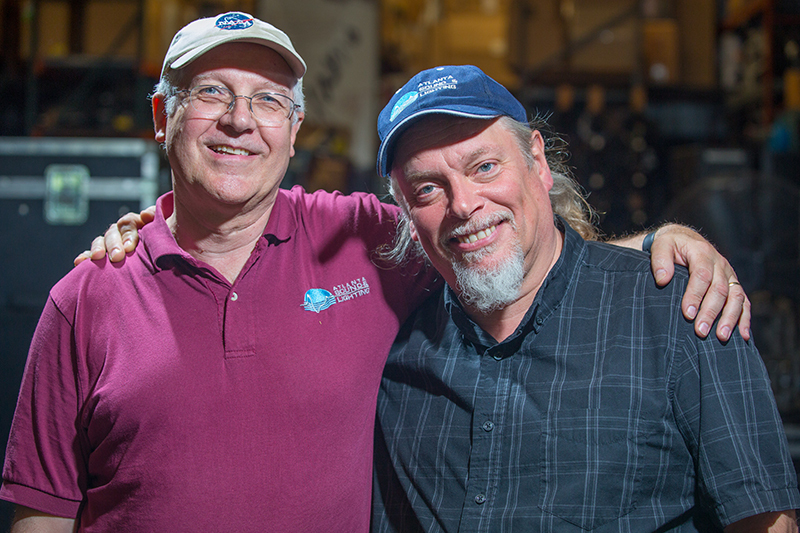 It has morphed over the years from its beginnings as a backline and rehearsal company to the multi-million dollar, full-service production it is today under the helm of Scott Waterbury and his silent partners. An affable guy who is quick to laugh at himself as much as the situation, Waterbury is an encyclopedia of the Atlanta music and entertainment scene. His great sense of humor as much as his inability to say “no” are just two of many attributes that bring him and ASL to its 41st anniversary this year. The front door of the first facility, with its offices downstairs in the basement of a strip mall, faced the loading dock of the Great South East Music Hall (GSEMH). Atlanta Sound provided backline support as needed. At first, the popular venue booked a lot of lighter contemporary acts, both from the local music scene as well as national artists such as Leon Russell and Arlo Guthrie. 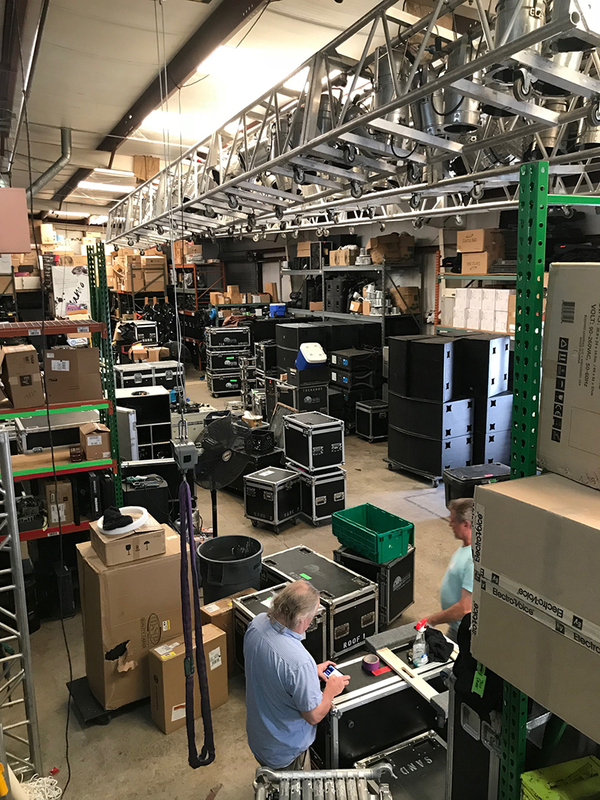 With the success of those rentals, and because “the backline wasn’t quite taking off as expected, we decided we should go into P.A.” The company started renting special effects, tape echoes, digital delays, EQ’s and eventually got out of the backline business. When it came to consoles, they started with an Altec 1220 that had “huge round knobs on it as big as your fist. One per channel; it was awesome,” chuckles Waterbury. “One day this guy shows up at our door and says, ‘I hear you guys are the big deal in Atlanta. Everybody says I should talk to you.’” Waterbury, who had doubts about that statement, invited him in to talk. The man was Steve May, Prince’s former FOH engineer. He was building a nightclub in Atlanta, and he wanted “the best P.A. in the country.” Waterbury and Dave Westrom designed and built a lot of gear specifically for his club, which became the legendary 688 Club, which opened in 1980 and closed in ‘86. During that time, it featured hundreds of punk rock, New Wave and alternative rock bands, many who later became famous, such as Red Hot Chili Peppers, R.E.M., 10,000 Maniacs and Billy Idol. The company has been based in Chamblee, GA for the last 20 years. Waterbury and ASL started doing much larger, high-visibility gigs going into the next decade. In September 1987, Atlanta Sound & Lighting provided gear for Pope John Paul II’s visit to Miami, one of several stops on the Pontiff’s fourth tour of the U.S.
Providing P.A. for the Pope came about through partnering with an older, established company called Wynn Sound. Its start — and claim to fame — had been made in the 1940’s and 50’s through broadcasting. Wynn handled the main stage and first set of arrays for the Pope’s celebration of Mass on Sept. 11, 1987, but needed help with the other 38 delay towers, the last of which was nearly three-quarters of a mile from the stage. “We just put it on paper, and it looked like we should do it,” says Waterbury. Saying “yes” to everything became a working business philosophy. “Our growth and expansion came from forming partnerships, and the inability to say ‘no,’” Waterbury says. 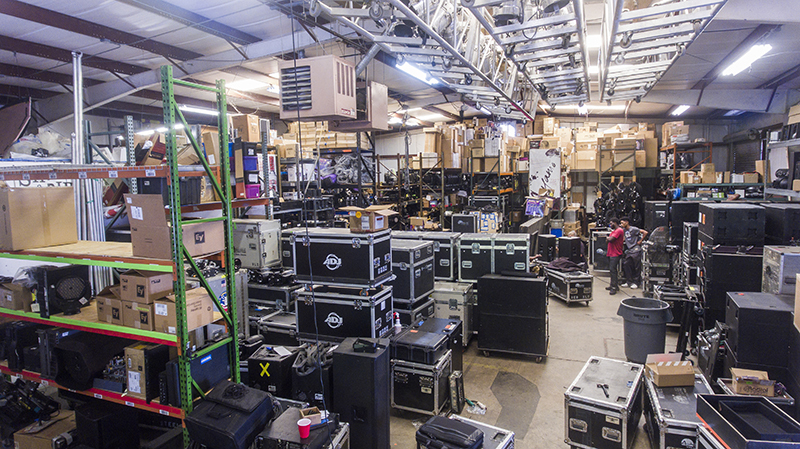 ASL’s markets run heavily in the festival, corporate, clubs and worship sectors. Waterbury is speaking of the well-established landmark clubs Vision, Rain, The Velvet Room, Agora, Vanquish, Compound and Amoré. The company’s EV gear provides ample audio reinforcement for various gigs. In talking about lessons learned over the years, Waterbury mentioned one from an Electro-Voice (E-V, now owned by Bosch) sales rep, one of ASL’s prime vendors. “I tend not to switch vendors much. I had a really good sales rep in the 80’s named Wally Wilson. He sort of challenged me once by asking me how many dealers I represented at the time. Back then, I had this huge binder full of price lists and catalogs I used to go through. It was probably around 165 manufacturers. He then asked me how long it took me to get a quote done, which sometimes took days. He then asked me if he could show me a way to cut that time down so I could do more sales. Of course, I said ‘yes.’ It took me hours to put together a $50,000 normal P.A. quote pulling from about 30 vendors to put it together. He was done in about five minutes, because he was able to pull from the E-V catalog list. Afterwards, he points out the important part about all this. He said that, to the 30 manufacturers, who each got maybe $2,000, I was a nuisance. But to E-V, I’m a $50,000 customer. I have honestly run our business that way ever since that moment. I’ve tried to be really loyal to my vendors, like E-V, Crest, Shure, Elation and American DJ. These companies were smaller, just like when I started working with them. 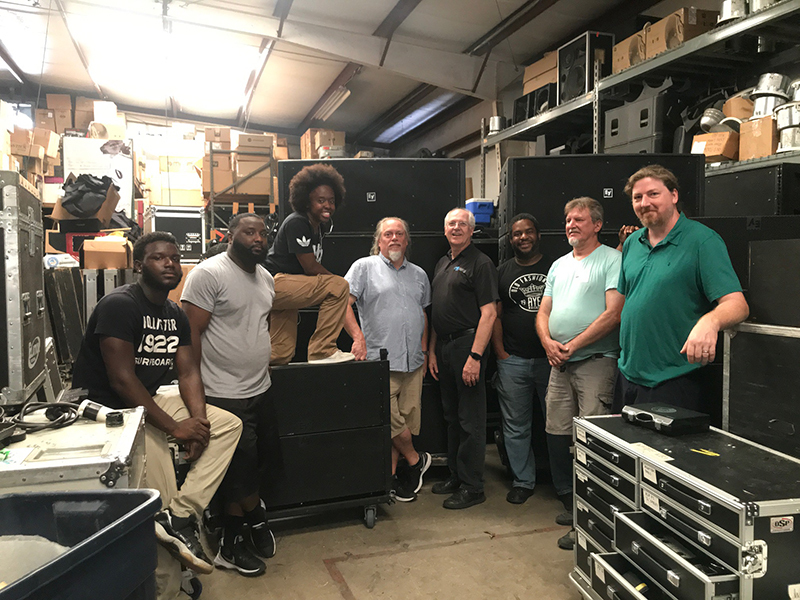 They have been loyal to me, and I’ve been loyal to them, and we all have grown,” says Waterbury, noting that L-Acoustics is about to be added to that list. Kira Fitchart, Mike Ertle, Scott Waterbury, Joel Barnes, Jon Waterbury and Robby Dial.